I know it’s Thursday, and I had a great “What I Love Right Now” post planned for today. 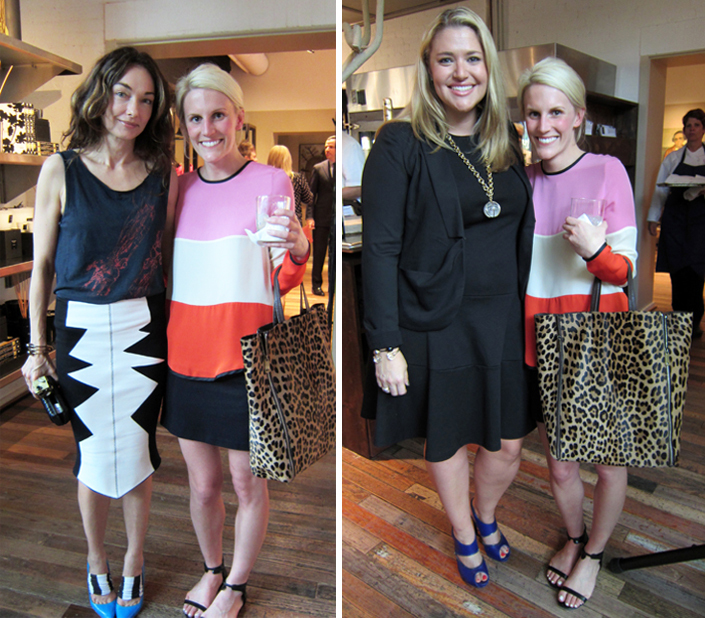 However, I just couldn’t wait to post these pictures from last night’s Kelly Wearstler event at Dallas’ Forty Five Ten. What a fun night! 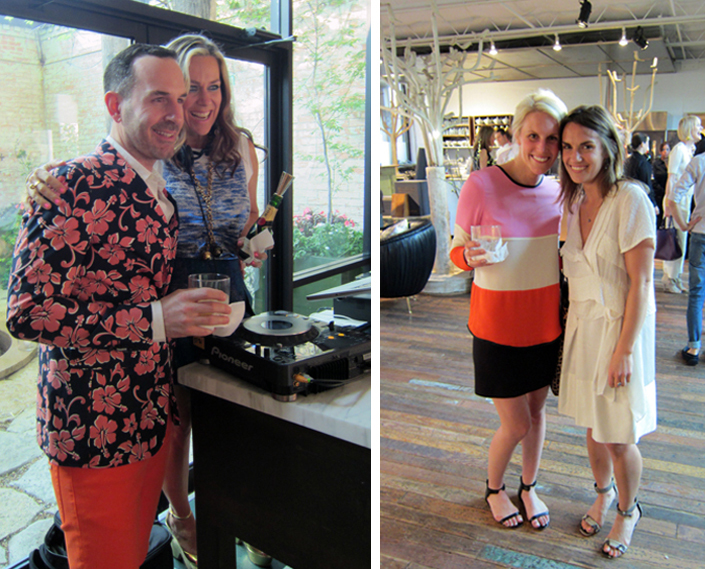 The event marked the official debut of Wearstler’s RTW and home collections in the store. Every single piece is amazing! (Literally – every. single. piece.) I adore her clutches – Wearstler herself was carrying a black one – especially the black-on-ivory water snake version. The home accessories are just as glam – and quirky – in person as you’d expect. My favorite piece? The brass foot. I think it belongs in my living room, no? Of course, the best part of the night was meeting the designer herself. I even managed to snap a picture with her. Check out these pictures for a peek into the store. 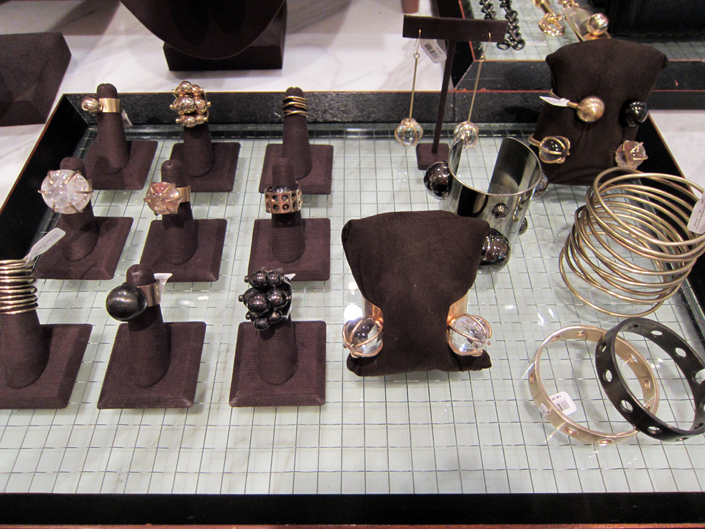 If you’re in Dallas, be sure to head over to Forty Five Ten to check it out for yourself! A peek at a few of the amazing home accessories – including a limited-edition mini version of Hue. I bought a signed copy, and it’s now living on my bookshelf in my office. My quick picture with Wearstler! My face is a bit rosy – she makes me blush, what can I say? With Wearstler in mind, I opted for my color blocked Heidi Merrick top paired with a simple black mini and my new Jason Wu sandals. The other picture is with my adorable friend Meghan who works as a buyer for Forty Five Ten. 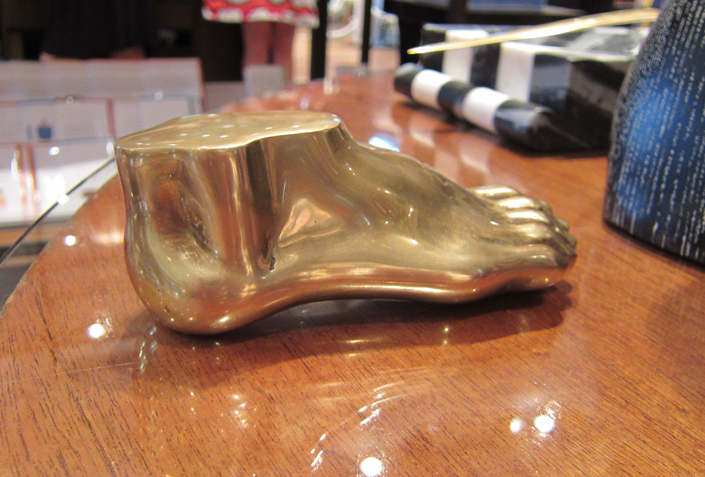 The brass foot! Please let him come live with me! Three of my favorite people: Brian Bolke, owner of Forty Five Ten, alongside DJ Lucy Wrubel; and then my friend Alli on the right in her cute all white look. 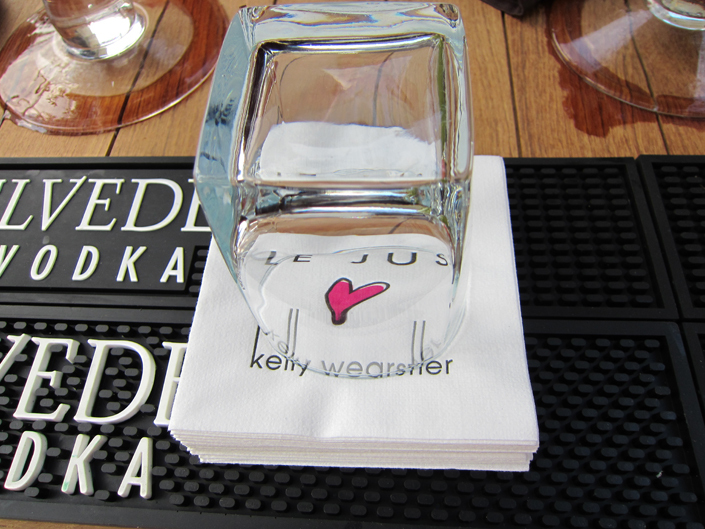 I took this napkin home with me! I am your 600th follower haha. Stunning! Sounds like an incredible evening! This looks like so much fun and you look gorg! I can't believe you got to meet her! Ahhhhmazing! I have her book, Hue, and love it…so colorful! So jealous you got to meet her! What a night to remember. How awesome! Dude, not only would I have taken the napkin home, I would frame that betch! Ahhh! I can't believe you met Kelly! I am probably one of her biggest fans. Such a visionary she is! It looks like it was a fabulous party! Wow, what an amazing day! KW–another Carolina girl! You fit right in with your fabulous style.